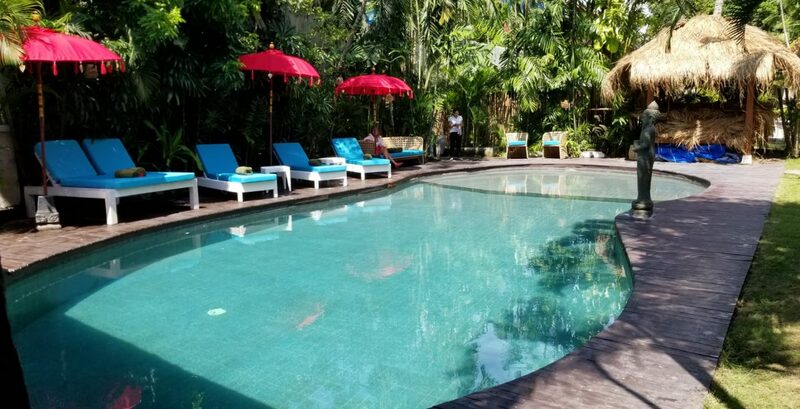 Berawa Beach Residence is located in the outskirt Seminyak district of Berawa, within 10 minutes drive. Berawa Beach Residence provides a more flexible and affordable alternative to hotel in Bali with variety of self-contained and serviced accommodation catering to all requirements be it professional or leisure, part of Premier Element by Premier Hospitality Asia’s collection, the property offers ideal apartment-concept for savvy travelers. Bedroom 1 (Ensuite bathroom, King size bed, Air-conditioning, Television with international channels & DVD player, Living Room, Sofa, Toiletries, Wardrobe, Balcony outside bedroom). Bedroom 2 (Ensuite bathroom, King size bed, Air-conditioning, Television with international channels & DVD player, Living Room, Sofa, Toiletries, Wardrobe, Balcony outside bedroom). Services Performed by Staff (Villa Manager, Housekeeper, Security, Swimming Pool Attendant). Swimming Pool Area (Private jacuzzi). Airport transfer (arrival only), Welcome drink upon arrival,Welcome fruit basket/ platter upon arrival, Breakfast daily, Free Wi-Fi, Drinking water replenished daily, Housekeeping service daily.